Jacqui Morrison is our guest blogger today. 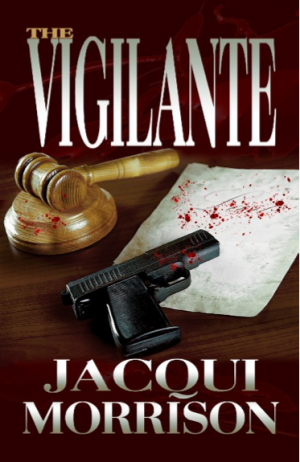 Jacqui has written two suspense thrillers forLachesis Publishing – Kaitlyn Wolf Crown Attorney and The Vigilante. Her books delve into the gritty underpinnings of society. Today Jacqui shares what inspires her writing . . . I am a visual person and a people watcher. The best writers I know have an extra spectator quality: the ability to be at an event and to be able to observe and participate. Once I heard that term for the first time I had an ‘ah ha’ moment, I was not alone; there were other people like me. I embraced my quirkiness as a gift. As a child I was a dreamer and imagined entire mansions full of secret staircases and hidden rooms. Doesn’t every child dream in colour? If not they should, it’s fun. Those early dreams morphed into daydreams, which turned into detentions for not paying attention at school. I’d love to go back in time and let those teachers know that daydreams inspire my novel writing. I saw a woman (a stranger) walking across the road in my town in northern Ontario, Canada. The stranger was of Aboriginal descent, proud, beautiful and serene. Her features, high cheekbones combined with piercing brown eyes, enchanted me. I knew one day she’d become a character. The chance encounter with the stranger, who I never saw again, percolated in my sub-conscious and she became the protagonist in my novelKaitlyn Wolf Crown Attorney. The story of an Anishnaabe woman who experienced multiple tragedies as a youth, rose above her circumstances and became a Crown Attorney only to be foiled by defense lawyer Maxine Swayman known as ‘The Barracuda”. I’m inspired by well-known authors including: Peter Robinson the author of the Inspector Banks mysteries, Agatha Christie, Linwood Barclay, and Margaret Mitchell, to name a few. Mysteries, my genre of writing, are like a puzzle. If you lose one or two puzzle pieces you’ll never fully complete the picture. It’ll haunt you. Mysteries, like those enigmatic mansions I created in my mind as a child, are my puzzles. I’ll spend hours and days planting clues, and writing plot twists and when I’m stuck, I’ll spend time in nature. Nature’s beauty never stops inspiring me and after a needed break, I’ll return to my laptop ready to continue unraveling the puzzle.